By joining this gathering, you are contributing to rainforest conservation and indigenous heritage preservation. Since 1994 we have been working directly with communities in the Upper Amazon and since 2000 on Costa Ricas’ Osa Peninsula. Our projects focus on three categories: Rainforest and Wildlife Conservation, Restoration of Degraded Lands, and Cultural Heritage Revalidation. We are also in our 12th year of upholding a marine turtle conservation on our beach in Costa Rica. More info about our efforts can be seen on our Projects page. 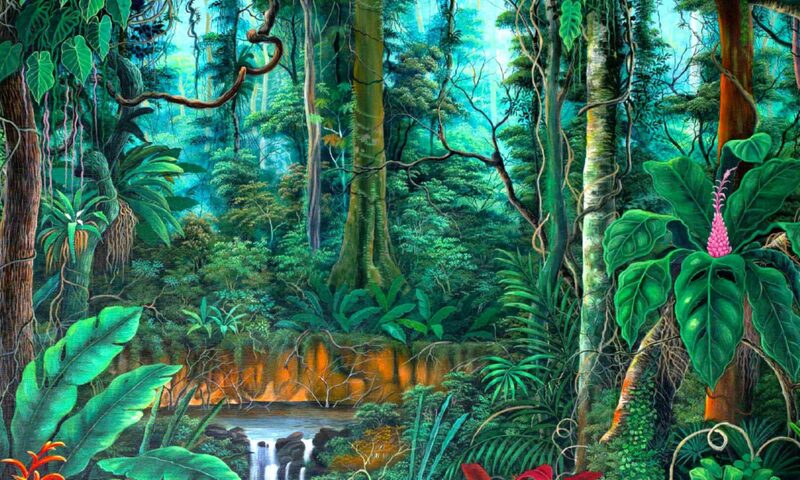 To provide an opportunity for renewal of body, mind and spirit; through rainforest plant medicine traditions that act as a catalyst for auspicious transformation and tangible human progress. To Experience the prehistoric origins and vital importance of ‘Plant Medicine Traditions’ from the Upper Amazon as taught and lived by the Secoya elders for centuries. To make known the holistic, indigenous ceremonial science of “God’s Multicolored People” (translation of “Secoya”), under the tutelage of skilled Secoya wisdom keepers, the traditional elders, accomplished “torch bearers” and adepts of this sacred spiritual culture. To experience tropical biodiversity in a remote rainforest wilderness and beach setting where birds, plants and wildlife abound, sing and play. To welcome endless possibilities while changing the outer world from within. To meet mindful fellow travelers from our global community. To provide the opportunity to inspire quantum beneficial changes in oneself, community and the planet whilst becoming an agent of change. To take an intrepid inward journey and give provide the opportunity to shift fear into curiosity. ◊ To feel mindfulness and magic and magnify one’s sense of wonderment. To experience re-setting your mind. To expand one’s guts and grace.